I just lost an entire week to a cold. I was sick back in March with bronchitis and a sinus infection that had started out as an innocent little cold just like this one, so I tried to take it easy this time and get lots of rest. 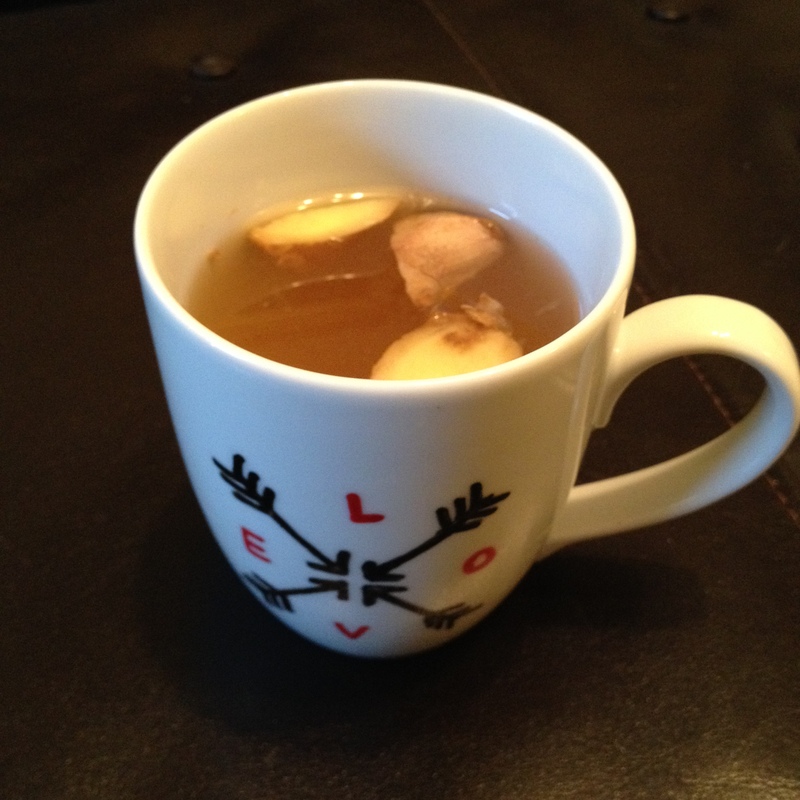 One night, Joey made me a spectacular hot toddy with ginger that warmed me up and soothed my sore throat. I tried to get lots of knitting done, but my cold medicine haze (and perhaps the whiskey from the toddy) had an undesirable effect on my knitting. I’ve now had to rip back a weeks’ worth of work because it just wasn’t right. Let this be a lesson to us knitters: never design under the influence. I’m back on track with my health and my knitting now and I think this design is going to be awesome. We’ve also had our first real cold snap with lots of rain and temps in the low 50s. Joey and I were out and about this weekend and got caught in a downpour without an umbrella. We got so drenched running to our car and I came thisclose to slipping in a giant mud puddle. When we finally got in the car and slammed the doors shut, we just looked at each other and laughed. We went home and I made warm potato soup for dinner which was just perfect. Chilly weather, warm soup, knitting wooly things, and laughter with my love. I’m glad that fall is here.